Vom 20.04.2017 bis zum 21.04.2017 wurden 24 Knowledgebase Artikel veröffentlicht. On a Windows 2012 virtual machine using the default e1000e network adapter and running on an ESXi 5.0/5.1 host, you experience these symptoms: Data corruption occurs when copying data over the network. Data corruption occurs after a network file copy event. Note: This issue occurs occasionally, when there are large data transfers between virtual machines. This article provides information about deploying a Metro Storage Cluster across two data centers using EMC VPLEX Metro 5.0 and above. With vSphere 5.x, 6.0, and 6.5, a Storage Virtualization Device can be supported in a Metro Storage cluster configuration. 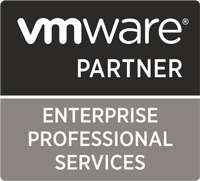 This solution is partner supported, for more information, see VMware Compatibility Guide – Partner Verified and Supported Products (PVSP). Using HotAdd transport mode to backup or restore multiple disks in parallel on a target VM could result in read or write failures. Running the esxcli network nic get -n vmnicxx command on an ESXi 5.5 host will report false for Supports Auto Negotiation and Auto Negotiation. Attempts to edit interfaces of vCloud Network and Security or vShield 5.5.x Edges fails on NSX 6.1.5 and later releases. For additional symptoms and log entries, see the Additional Information section. Incorrect output/values when using the Projects Capacity Planning feature in VMware vRealize Operations Manager.This issue occurs when you add more than one host for one scenario and the trending graph stays same.When you add more than one host, the trending graph does not get updated.Project does not accurately reflect extra capacity if more than one host is added.This issue does not occur when there are multiple projects, each with a single host. Unchecking the Server certificate under Global configuration tab fails in NSXYou see the error:Failed to read certs & secrets. : 002 forgetting secretsDisabling the IPsec VPN service seems to resolve the issue, but any modification to IPsec after disabling results in the same error. After assigning an IP pool to a cluster that does not have enough IP addresses, and then try to add a host to this cluster, you see these symptoms:Adding ESXi hosts to this cluster fails.You see the error:Insufficient IP addressesAfter changing the pool to add additional IP addresses, you are now able to add ESXi hosts to the same cluster, although the same error message remains. Unable to add the trunk sub-interface (logical switch) with multicast IP address (multicast or hybrid control plane mode) where the last 3 octets are over 99 (For example: 27.227.120.107) to the NSX Edge.You see the error:Job running for „NSX Edge Vnic“ module failed due to some error,Please refresh the current UI.Note: For additional symptoms and log entries, see the Additional Information section. VMware vRealize Log Insight 3.6 and higher support inbound connections secured with TLS v1.0, v1.1 and v1.2. TLS v1.0 has known security concerns. This article provides steps to disable support for TLS v1.0 on the Log Insight server. Some clients, such as web browsers and syslog sources, may be actively communicating with TLS v1.0. Verify all clients can successfully negotiate TLS v1.1 or v1.2 before disabling support for TLS v1.0 in Log Insight. This article explains the Hardware compatibility – vSAN HCL DB Auto Update check in the vSAN Health Service and provides details about why it might report an error. In a VMware NSX for vSphere 6.2.4/6.2.5 environment, you see this symptom:User Interface (UI) is not passing „excludeSource“/“excludeDestination“ true while saving the configuration for negated objects such as Security Group (SG) containers or individual objects such as virtual machines. The arping command, at times reports that the NSX Manager IP is duplicated in the network even though it is not duplicated. This generates a false positive event.There is no impact to NSX Manager functionality. This article provides steps to back up the Usage Meter database for troubleshooting. All graphs show zero values when viewing Edge statistics for traffic and throughput in the Monitor Statistics page.Edge node was restarted or experienced an HA fail over event.Querying the statistics using API calls through the NSX Manager returns similar all zero values.